Farnaaz Islam is a young painter from Guwahati. But calling her painter would be undermining her multi-faceted talent as Islam is a poet and writer too. 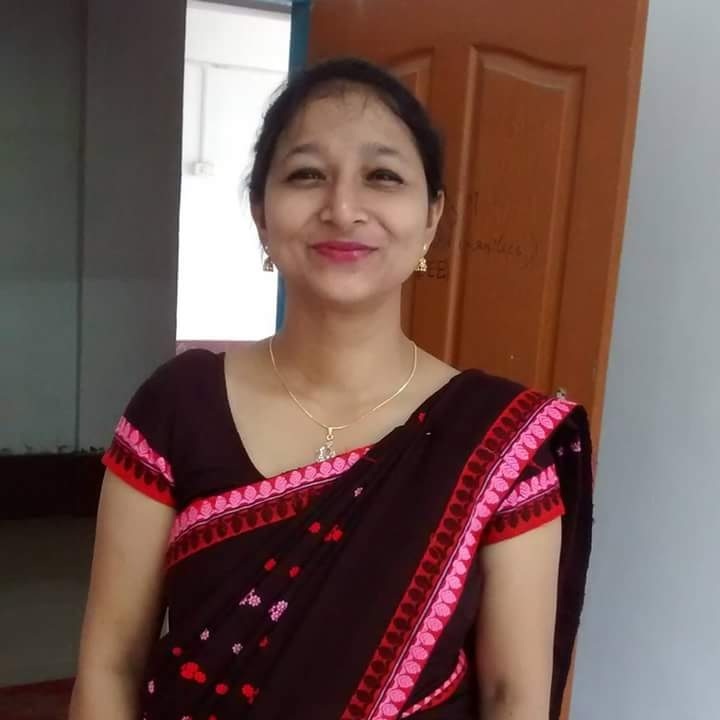 She is also an engineer and was an assistant professor at Regional Institute of Science and Technology in Meghalaya after completing her MTech from Tezpur University. Is it difficult to juggle art and science? It is, but Islam did it with aplomb. In the process she chose her first love, painting, to bloom as a creative person. Islam was born and brought up in Assam. The 30-year-old artist says both her parents were instrumental in making her an artist. “While my father would take me to various competitions, my mother always brought me books with illustrations. I started painting before I could even speak and the first prize I received was when I was in kindergarten. Later, Guwahati Artists’ Guild helped me a lot to grow as an artist. Debananda Ulup sir (painter) was a great inspiration,” says the painter on phone from Guwahati. Islam, who works as an art teacher at Guwahati Artists’ Guild, has already been part of many exhibitions in Guwahati and in 2016, she held her solo exhibition. Talking to The Shillong Times, Islam says how difficult it is to survive as an artist, especially in the northeastern region, and how people need to change their perception about art. How do you manage being an engineer, into work and painting? I am not into engineering for the last three years. I left after I realised that juggling art and engineering is not my cup of tea. How is the art scenario in Assam? It is not very good actually. I wish people had more interest in art and bought more paintings. The market is not very good now. In Kolkata and Mumbai, it is still okay but the overall domestic market is in the downhill. Why did you take the risk then? I like taking risks. I am also preparing for government examinations but currently I am focusing on art. Ulup sir and Aminul Haque (painter) are guiding me, they are my mentors. What do you want to achieve as a painter? I plan to hold more exhibitions and send my work to Mumbai and Kolkata. Once I have enough money I will hold an exhibition at Jehangir Art Gallery (in Mumbai). I admire Pablo Picasso’s works. Ulup sir is a big inspiration. I admire his paintings more than Picasso’s. I feel they have a tribal touch and homely feel. They have folklores and magic realism is woven in his paintings. He is a star in his own right. Yes, I read a lot of magic realism books. As a child, I was obsessed with drawing parks and Durga Puja pandals (laughs). Are you planning any exhibition outside Assam? Yes. Ulup sir has recommended my name and he will send one of my paintings to Kolkata for an exhibition in August. There will be another exhibition at Chitrakoot gallery in Kolkata. I have a few paintings ready but they are not enough to fill up a whole gallery. What are the different media that you work with? Glass painting, acrylic on canvas, 3D art and water colour. Acrylic is my favourite but water colour is also a good medium. Is it possible to earn a livelihood through art? It is difficult for artists to sustain. They must work in some school as art teachers or do private tuitions. Some backup must be there. You are a poet too. Is it a hobby? It is a hobby. Whenever I feel like, I pen down my thoughts. I have written a few short stories as well. How is the art scenario in the North East? What is lacking? People should take art seriously and not consider it as a hobby. In today’s world it is easier to learn from YouTube tutorials. The world has come into a nutshell with globalisation. Anyone can learn art. But the mindset needs to change about art. It is not just a hobby or only a rich man’s luxurious thing. How contemporary situation affects an artist? It affects a lot. One of my glass paintings had a theme of revolution with fish and two bulls as motifs. It showed progress and prosperity… India and Pakistan are pawns in the bigger scenario. There are bigger bullies. I also delve into these themes. The war between good and evil is the current theme in my painting. What is your message for young artists? You should take yourself seriously. Consider art as a passion and give your heart and soul to it. Nothing can stop you.